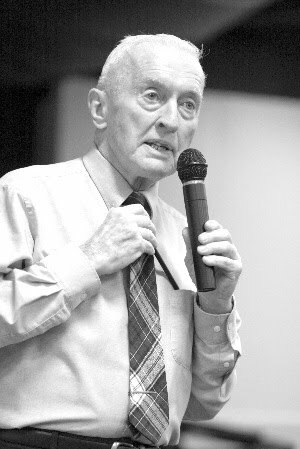 Notre Dame Professor Emeritus Charles E. Rice died last night at the age of 83. Besides being a brilliant law professor and a devoted husband and father of ten children, Rice was a tireless defender of all that is good about Notre Dame. 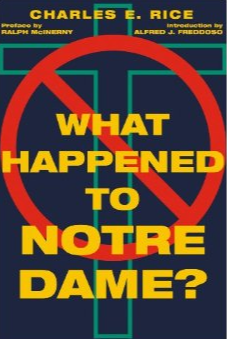 In humble tribute, I'm re-running my review of his last book, What Happened to Notre Dame? in hopes that those who didn't know Dr. Rice get a glimpse of his greatness, and those who remember him, never forget his battle cry to continue the fight. God bless you, Charlie Rice! Pray that we, the faithful Fighting Irish, see your cause of saving Notre Dame to its completion.